1 Delsey Brand Review: What is Delsey? Delsey is one of the most well-known and appreciated manufacturers in the luggage industry. The luggage Delsey products are high end, usually costly, made from sturdy materials and with elegant design. The company sells a large variety of luggage in different sizes, colours, and prices that benefit from very impressive reviews from its users. Delsey Brand Review: What is Delsey? Delsey is a French company founded in 1946 by three men who were focusing on producing leather cases for cameras. Currently, the company is present in over 110 countries on 5 continents and one Delsey suitcase is sold every 10 seconds. Delsey is responsible for several innovations that changed the luggage we use today. It is the first company who created and sold rigid luggage on wheels, in the1970s. In 2009, Delsey has launched the Over Weight Indicator that alerted the travellers when their luggage exceeded the standard 50 lbs. weight allowance. In 2015, Delsey proposed a smart suitcase that was able to communicate with a smartphone through a dedicated app. Features also included a locator beacon, wireless speaker, phone charger, weighing scale and a remote locking system. Currently, Delsey ranks 5th on the most popular luggage brands list. 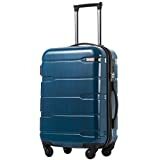 This 21" Carry-On Spinner Trolley is part of the Delsey Châtelet Collection. Travel can now be practical and look sophisticated with the polished Chatelet collection! Made from bayer 100% BAYER virgin makrolon polycarbonate formulated to achieve the highest standards of extreme temperature and impact resistance. Telescoping handle locks in two positions to accommodate two or four-wheel use and is designed for maximum comfort and control with molded ergonomic comfort grips. The Chatelet Hard+ is a very elegant and durable suitcase. It has 3 handles, two leather handles on the top and side and a retractile metal handle on top. It has an identification plate on the back that makes locating the suitcase much more easily. A wheel locking mechanism that will allow users to lock the wheels in place by using a dial on the back of the case. The back has two options: “stop” and “go”. Fully lined interior with zipper divider that can be used to minimize shifting of contents. This divider can be also used to separate the clean clothes from the dirty ones. A TSA-approved lock is meant to secure the content and it allows TSA agents to open the bag without any damage to the lock. The suitcase is made of 100% Virgin Polycarbonate for increased durability. The material is a very strong and flexible material that can withstand temperatures up to 298 degrees Fahrenheit. The Montmartre+ is an alternative to the classic hard-sided suitcases. 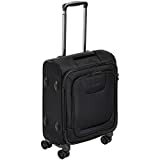 It is very lightweight compared to other luggage of the same size and thus is easy to carry. 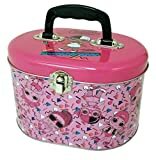 It has an expandable capacity that adds extra storage space. Helium Aero International is a lightweight suitcase especially designed to be carried on the international trips. It has a sturdy built and it is very easy to carry due to its silent-running wheels. Delsey Luggage is known for high-quality products that are made to last. Overall users are very satisfied with both the quality and the functionality but there are a few negative reviews that no product lacks. Most of the complaints are due to easy scratching and zipper problems. A great feature that accompanies all Delsey luggage, as well as other high-end brands, is the TSA-approved lock. This makes the content of the suitcase available to the TSA agents when they think it is necessary to be inspected, but at the same time secured it for anyone else. 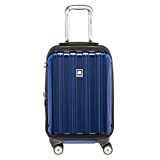 Another common feature that seems to be common to all Delsey luggage is the silent-running, double spinner wheels that make carrying the suitcase without any difficulty.